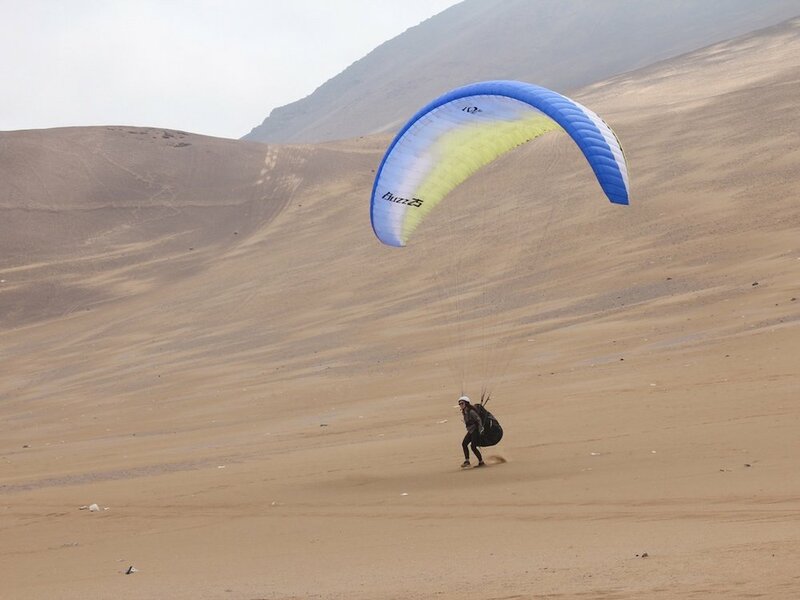 Zion Paragliding has been venturing to Iquique since 2014 to run beginner and progress paragliding courses. We promise a course filled with fun and adventure and that’s why we work with local pilot and close friend Christian, with over 25 years of flying experience. Combined with Zion’s teaching expertise and Christian’s local knowledge our flying course maximises air time. As well as excellent flying, we have done the legwork to find the best food spots and places to stay so you can focus on flying. Let us be your guides in the air and on the ground. Find all the information you need about our different courses in Iquique here. A 9-day intensive course for absolute beginners or those in need of a refresher. The hands-on approach will have you taking your first solo flight within the first three days and receiving your P2 USHPA license at the end. Our beginner course caters to those starting from zero or pilots who have been out the game for a while and are in need of a refresher. Across the 9 days, you will learn to take-off, land, kite the wing and thermal, whilst being under radio guidance the whole time. The course includes tuition and a beginner flying kit from Gin Gliders, everything you need to get started. The beginner course starts with learning how to kite in Palo Buque. The vast desert sand and consistent, yet mellow winds are perfect to master the basics. Once you can keep the wing steadily above your head, you're ready to for your first few flights over the small Palo Buque ridge. Over the next few days, you will gain confidence as you fly for longer. 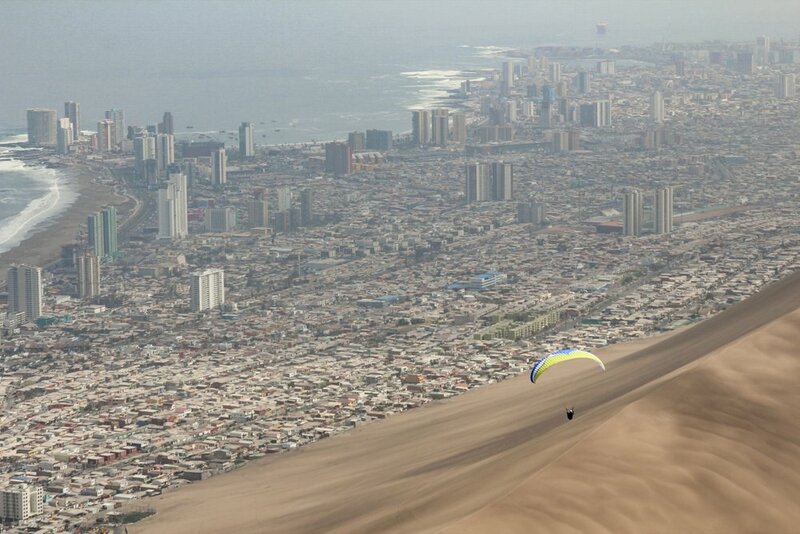 Finally, you will be ready to fly from Alto Hospicio and over the city of Iquique to land on the beach. 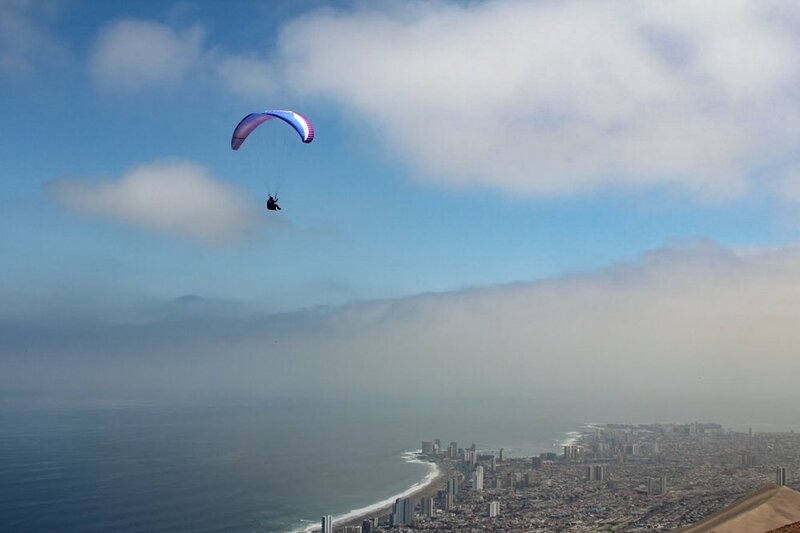 Seven jam-packed days of paragliding will see you progress in all the places you want to. This is a course we tailor to our student's strengths and abilities. Over the seven days, we will cover a variety of advanced techniques so you feel more comfortable when flying the distance. We will fly across two main sites, Alto Hospicio and Palo Buque before putting all you have learnt to the test with an XC task from Patillos launch. Zion and team will be flying with the group and on the radio offering guidance as we go. As the days go on there's less radio talk so you can feel the air yourself, but help is always there when you need it. On the final day, we aim to complete a 60km XC task from Patillos launch and fly back to Iquique with the southerly tailwind and retrieval van following closely behind. Palo Buque is a thermal dynamic site and offers a chance for pilots to play and practise manoeuvres and proximity flying. We offer private tuition for pilots of all abilities wanting personalised lessons tailored to your level, and Iquique is the place to reach your goals. With thermal dynamic ridges for miles, the possibilities of what you can achieve here is endless. Zion will fly with you and guide you in the right direction for you to improve in all the places you want.